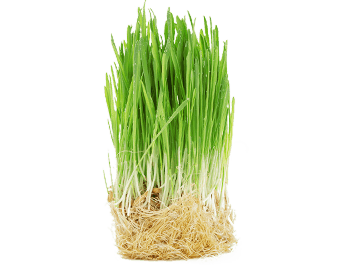 Oat grass (Avena sativa L), a cereal grass similar to wheatgrass, is harvested at an early stage at a point when it has reached a nutritional peak. It has an intense flavor and a grassy smell reminiscent of wide open meadows. Oat Grass is rich in chlorophyll, the molecule that converts sunlight to energy in plants, which is similar in structure to the heme in hemoglobin. Studies have shown that chlorophyll may contribute to the antioxidant benefits of green foods like Oat Grass.